Move the best candidate through the hiring process with Zoho Recruit's online applicant tracking system. Say goodbye to manually entering details in your candidate database and automate your recruitment process. What makes Zoho Recruit's ATS different? Recruit ahead of the curve by establishing a structured hiring process. Build an effective talent pipeline, source candidates faster than ever, harness the power of data, and provide a great candidate experience. From identifying talent to mapping behavioral assessments of candidates, select the right talent with an AI-powered recruiting assistant. Effectively plan your workday, even on your commute. Manage candidate, client, and contacts effortlessly and schedule interview with a tap. Zoho Recruit helps you organize and keep track of all of your job openings, resumes, candidates, clients, and contacts while letting you create a powerful yet simple hiring process. 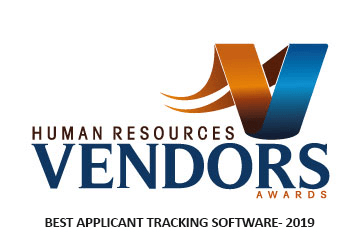 Zoho Recruit's ATS system has been awarded the best applicant tracking software by Human Resource Magazine at World HRD Congress 2019 . Schedule a demo today and see why top recruiting firms choose Zoho Recruit to streamline their hiring process. The future of your organization depends on attracting top talent. Access huge swaths of the talent pool with our free applicant tracking software. Improve the quality of hires with employee referral, a powerful source booster, beautiful career site, and more. Managing the hiring process should be the top priority for any recruiter. ATS for recruiters, build an efficient and scalable recruiting process with our best job applicant tracking system and get a holistic view of the hiring pipeline. Zoho Recruit provides a better hiring experience compared to other ATS tracking systems for both interviewers and candidates. Make hiring decisions that aren't influenced by emotion by viewing and evaluating candidates based on consistent assessments. Seamlessly collaborate with teams through effective multi-channel communication. Get quick responses from colleagues by @mentions, add comments, and hire candidates faster than ever. With the right ATS recruiting system, you can increase the number of placements and grow your business. Zoho Recruit's advanced recruit analytics, helps you back up all of your presentations with data. Create forecast for next quarter and keep track of important metrics. Automate your entire recruitment process from daily tasks to rejecting a candidate based on pre-defined criteria. Spend less time on data entry and focus on what matters the most.